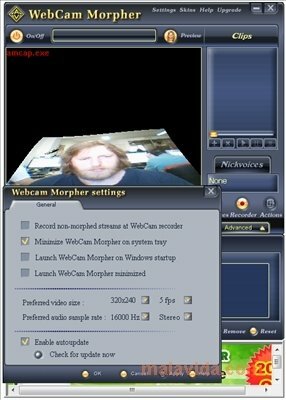 Each day it is more common to speak with your friends and family over the Internet, and this is even better if you can use a webcam, as it is always a lot nice to be able to see the person that you are talking to. 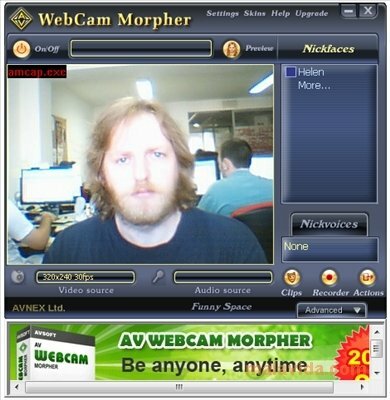 But if you want to add something more to your conversations, you can resort to AV Webcam Morpher. The use of nicks and avatars. With up to a total of 50 different ones to choose from. 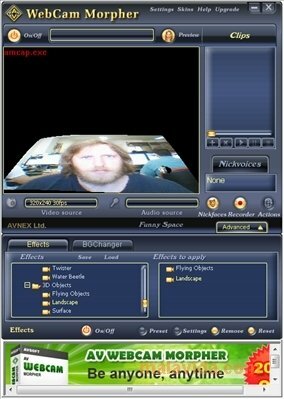 Associate a voice modulator to each of the avatars. Take screen captures and record video and share it while you speak. 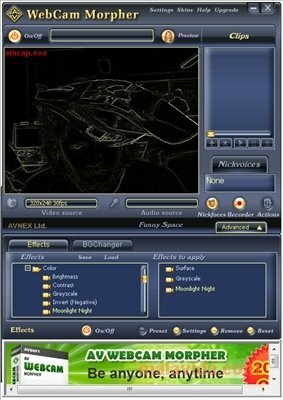 Activate different backgrounds, so that it looks like you are somewhere else. And all kinds of effects that can be applied to the images. 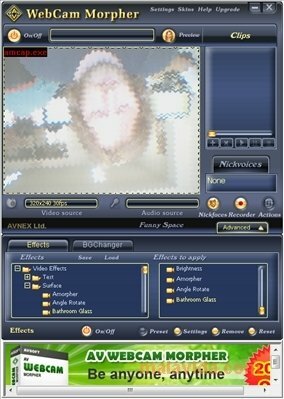 The effects included in AV Webcam Morpher are the main part of the program and they allow the user to do all sorts of things, ranging from the conversion of images into film negatives, in which it will only be possible to see the outline of the objects to turning the image upside down and applying a bathroom glass effect on top. 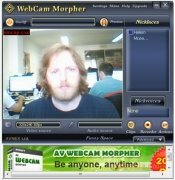 Therefore, if you want to have a little more fun during your Internet conversations when you use your webcam, download AV Webcam Morpher. The trial version has certain limitations and requires that you activate it from the application.